But the unanswered questions are by how much and for how long? Hurricane Harvey drew a bead on the heart of the Texas Gulf Coast's oil refinery district, and motorists in all parts of the U.S. are likely to feel the pain, at least for a while. Gasoline futures prices rose 5% early Monday but the market may not be able to fully absorb the extent of Harvey's impact for several days. 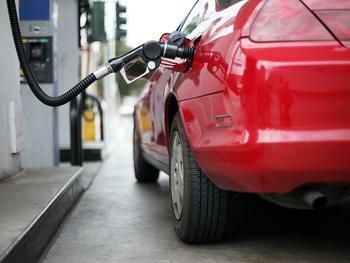 In the meantime, consumers should not be surprised to see gasoline prices rise quickly this week in anticipation. Fuel prices have already been running a little higher than last year. The AAA Fuel Gauge Survey shows the national average price of regular gas today is $2.36 a gallon, up three cents from a week ago and seven cents higher than a month ago. The storm has caused flooding damage to many Gulf Coast oil refineries. It has also shut down the Port of Houston, meaning oil tankers have not been able to resupply to refineries that are still operating. The result has been a huge bottleneck in gasoline distribution that should not only affect price, but perhaps supply. Gasbuddy senior analyst Patrick DeHaan Tweeted late Friday that numerous stations in the Houston area were out of fuel, not surprising as many evacuating consumers gassed up on the way out of town. He told ConsumerAffairs that the full impact of the storm on supply and price won't be known right away. In a bulletin on Friday, AAA said Harvey has the potential to push prices up in the aftermath, but the effect could be temporary. At last report, the Port of Houston had suffered no serious damage and was preparing to reopen once the flooding subsides. Hannover Re, one of the world's largest insurers, told CNBC Monday morning that the damage to refining operations is expected to be significantly less than the damage inflicted 12 years ago, by hurricanes Katrina and Rita. Oddly, oil futures prices went down late Sunday, even as gasoline futures rose. Then again, there appears to be plenty of crude oil and production capability does not appear to have been significantly affected. The problem, at least in the short term, is turning that oil into gasoline and getting it to your neighborhood gas station.